After numerous bits of news and screenshots concerning Sucker Punch’s PS4 sequel Infamous: Second Son, E3 gave us a chance to see the game in action. It looks like more Infamous, and it looks fantastic. 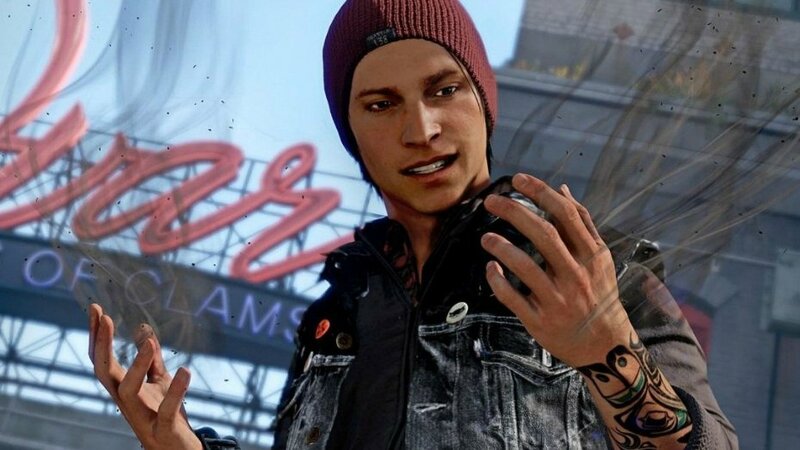 The main demo starts with main character Delsin roaming around Seattle before starting to show off some of his powers. Contrary to the previous games, this new protagonist has powers over smoke and fire, which he uses against what appear to be augmented soldiers with some powers of their own. Things heat of quickly, giving Delsin a chance to show off more fluid combat and better destruction. There’s also a pretty neat sort of teleport power and melee weapon is now a painful-looking chain. The rest of the demo is fairly standard-but-polished looking Infamous gameplay that we’re used to, except for the final moments, in which Delsin shoots straight up like a rocket, and slams back down for a devastating explosion. Get excited for the game with the video below, as well as an additional minute and a half of footage from Vandal.net. What has you most excited for a next-gen Infamous game? Tell us in the comments or visit us on Facebook and Twitter!